Hex putting out the entertainment as always. such a good setup and a good mix of the old school gaming scene and now. Hitch & Maniac "The Flycast"
The Duo of Hitch and Maniac is one of the most interesting dynamics in OpTic that not everyone gets to experience, from battle rapping in the kitchen island of 6050 Russell drive to eat the banana, go behind the friendship of "The Flycast"! I'm super proud and happy to announce the first non-gaming personality has checked in!! Tyrone Crawford, 3rd Round pick of the Dallas Cowboys, 7 year veteran and entrepreneur, the first Athlete on the Eavesdrop! For the Jordan Episode, the 23rd episode we sit down with a man who was part of all 3 COD Dynasties, 3 time world champion, Damon "Karma" Barlow is synonymous with GOAT! Considered by many to be the all around best player in the world, we go deep into historic times to understand the birth and creation of the living legend that is, KARMA. A different perspective is always refreshing, today we take the path down memory lane of what it was like, to be the mom of a young up and comer esports superstar. Kristen shares her story, her tips and ultimately a different perspective on what supporting your kids passions can lead to. With 2 World championships under his belt and over 25 championships, Patty P is amongst a very select group of people, that have achieved the level of success that he has in Call of Duty, sometimes misunderstood, there is no denying that Call of Duty would not be where it is without the rivalries and story lines that include him, a true mastermind, his eye for talent is unrivaled, we dive deep to understand, a "at times" misunderstood genius. A controversial figure in the OpTic family, Marcus Blanks is a one of a kind individual who rose to stardom in the early Black Ops 2 days, made his way around the circuit before landing in OpTic during the OpTic Dark ages. From his ascension to World Champ to the inevitable life after pro gaming, Adam continues to be a student and teacher of the game of Call of Duty, one fourth of the original Call of Duty Dynasty, his game changing strategies re-shaped the way COD was played at the highest level, a true SND Master mind, we dive deep into the mind of what makes Adam Sloss, K1LLA. Since 2010 this content creator has been making waves and has remained relevant in her quest to "just play and create", from the earliest days of OpTic, Ashley "Midnite" Glassel has become a staple in the OpTic Gaming family, "Wassup bros and hoes..." is what you hear as an intro as she goes into another well thought out story or commentary as she plays on, YouTube and Streamer she's able to tell you what it was like in the early days, the now days and everything in between. He's been part of 2 Call of Duty Dynasties, has won more than 15 championships including a World Championship and has conquered enough accolades to life a fulfilled life, post Pro career Teep has become a jack of all trades, CWL Broadcaster, Analyst, Coach and now the most followed Call of Duty Blackout streamer on twitch, we go way back in this conversation and catch up with the legend of TeePee. From the earliest of the Halo days, Clint "Maven" Evans has been a staple in console esports communities, having done it all from player, to player coach/manager, to Esports Broadcaster of the year (2018) we go down memory lane and discuss early Console esports and the current state and the future of Call of Duty Esports. "BigTymer" considered the original Call of Duty GOAT, a name synonymous with OpTic Gaming, and his transition from Professional Call of Duty player to an internet entrepreneur, this podcast takes us on a behind the scenes look at what Post-retirement looks like for many early adopters of the esports opportunity. Considered one of the founding fathers of American esports, having established Complexity in 2003'ish, the dude has been around, the name Jason Lake is synonymous with NA Counterstrike, but the expansion of coL would eventually lead him and his team to a Call of Duty world championship, there his esports history that I personally don't know, and Jason is the right guy to put it in perspective for me. Behind every strong man there's an even stronger woman, luckily for me she's always been standing right besides me, not behind... 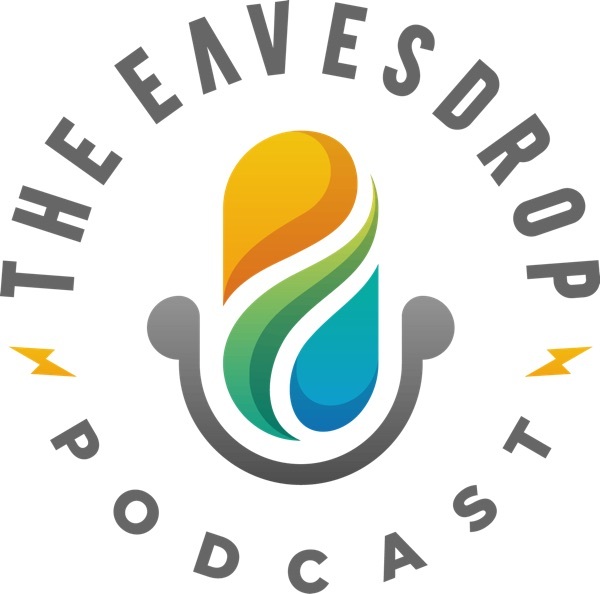 Enjoy this Christmas Eveasdrop Special. When I first decided that OpTic would be entering the CSGO Scene I had to do a ton of research, this research led me to one of my favorite people and YT content creator by the name of Richard "RLewis Reports" Lewis, an expert in CSGO (and more) who's journalism has been pivotal in the health of CSGO and esports, super excited about this episode, enjoy my conversation with 2016 Esports Journalist of the Year. Ian "Crimsix" Porter, a name synonymous with winning, with 32 Major championships under his belt, an XGames Gold medal, 2 Call of Duty World Championship Rings, 5 back to back ESWC Medals and endless MLG Championships the Man knows 1 thing, Winning, in 2018 however the WWII season brought nothing but pain and despair to an illustrious career, going into the 2019 season there's a storm brewing with hopes and speculations on whether or not OpTic can regain its rightful place in the CWL Rankings. Rob "LUNKERSTV" Terkla, American hero, YouTuber, Businessman, Fisherman, Hunter, this guy does everything and he does it well, there isn't enough space in this description that would adequately describe this dudes incredible life and story, enjoy the episode and grab a hold of something. In June of 2013 a pivotal moment in OpTic history was cemented in time, a small house in the NW Suburbs of Chicago became home to Mark, Nadeshot, Big Tymer and Scump, and from there a re-invention of the traditional "Gamer House", we redefined by re-focusing the purpose to Content Creation, a decision that would positively impact our future. Listen in to some of the never before told stories of our time at 6050. From the NW Suburbs of Illinois, Edwin Castro the 27yr old Fifa phenom has taken twitch by storm, as the first ever FIFA Twitch streamer he had to grind to build a non-existent livestream audience, now with over 1M Followers on Twitch, 1M Subscribers on YT and over 1M followers on Twitter in just a short 5 years, the man sits at the top of the FIFA Livestream game and there is no signs of slowing down. Mike Rufail aka "Hastr0", a name synonymous with OG Esports personalities, a true Gaming renaissance man, Pro-Player, Caster, Team Owner, you name it this dude has had to do it all, some say career progression, I say it was a deep rooted "need" to do it all, to learn it all, to learn it all to be able to succeed, when NV needed him to be a player, he played, when NV needed him to coach, he coached, when Call of Duty was in need of a shout caster, he casted, and finally, when NV needed him to help professionalize not only his team, but esports as a whole, he did. Mike's been making moves in esports for close to 15 years, a true OG of our scene, listen and learn to some never before heard stories of our come-up. From a top talent Call of Duty World League Caster, Jack Courage Dunlop has amassed an army of "Courageous" who tune in everyday to follow along a story-line that transcends age and demographic, from Competitive Call of Duty matches, to Fortnite Battle Royale, you can find his high energy and unrelenting passion for live streaming! One of the most prolific Call of Duty content creators to touch YouTube, Pamaj's journey as a YouTuber has taking him places unimaginable, from gameplays to bar setting Sniping Montages this dude has really set the tone for new up and coming directors in the scene. His new journey begins as he rejoins FaZe Clan, the movement, the culture Austin "Pamaj" Pamajewon created in his home-town of Perry Sound Ontario, scholarships and sporting goods donations have made him a home-town hero! From the moment I saw him play at MLG Orlando 2011 I knew that the young King was going to be a staple in OpTic, not only was he an incredible Call of Duty player, but he was also incredibly funny the second the camera went on, a 2 time back to back XGAMES Gold medalist, with over 25 Championships, Scump has been winning championships every year since 2011 until this past 2018 Season, we dive deep on this one. "Nadeshot" a gamer tag synonymous with "first of his kind" Esports and Gaming superstar, Matt's ascension to stardom came not from right place right time, it came from hard work and dedication, an unrelenting drive to be the best, we sit down today, a short 8 years later and have a couple of conversations over a couple of drinks. I first met David at Machinima's Inside Gaming Awards, where Treyarch won Best Controller + Best Multiplayer for Call of Duty: Black Ops, since then Von has gone on to revolutionize Competitive Call of Duty (COD Esports) by always pushing the limits with an emphasis on expanding the reach of Call of Duty Esports to a more "causal" audience, he's got some intel on the upcoming Call of Duty Game "Black Ops IIII" and the current fan favorite "Black Out" Treyarch's Battle Royale Multiplayer. Ryan "FWIZ" Wyatt is the Global Head of Gaming at Google/Youtube, but first he was a student working part-time for MLG's Gamebattles.com (esports tournament website) first as a referee, to head referee, press play now to hear his path of assencion to being the Head of Gaming, AR/VR at the largest internet company in the world.